In a statement, it said the delay was necessary because some people were trying to "game" its ID system. 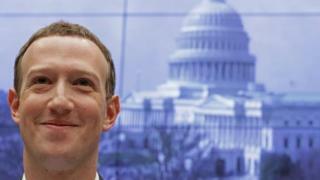 The announcement comes soon after the company's founder Mark Zuckerberg again rebuffed a call by the UK Parliament to appear before it. MPs want to quiz Mr Zuckerberg about fake news, political ads and disinformation. In a statement given to the Guardian, Facebook said it had "learnt" that some people were entering "inaccurate details" into its ID system and was now "working to improve our review process to detect and prevent this kind of abuse". It added: "Once we have strengthened our process for ensuring the accuracy of disclaimers, we will be introducing enforcement systems to identify political advertisers and require them to go through the authorisation process." Facebook said "hundreds" of people had gone through its authorisation process since the ID system was set up. Anyone signing up was "required" to "represent themselves accurately", it said.